Back in 2001 the Labour party offered incentives to consumers in order to encourage them to purchase diesel powered vehicles and worked with a number of commercial vehicle manufacturers in order to convince them to produce more diesel vans and trucks. All of this was in aid of reducing the amount of CO2 emissions in the UK and while this was achieved, it came with a disastrous price – NO2 levels rising. However, even though Mr Gardiner claims that the government has left it too late to fix the problem there is no doubting that they are trying to change things now. Recently, London Mayor Boris Johnson announced that by 2020 an Ultra-Low Emission Zone (ULEZ) will be introduced in London – an area which no diesel vehicle will be permitted to enter. The government is also planning on offering new incentives to customers who buy ultra-low emission vehicles such as those that are powered by electricy. Furthermore, the Society of Motor Manufacturers and Traders (SMMT) is hosting a debate on Wednesday 11th February in order to discuss how buses, coaches and commercial vehicles can help reduce air pollution in the UK. Discussing the event, Mike Hawes, SMMT chief executive, said: “Buses, coaches, vans and trucks are crucial to the functioning of the UK. Manufacturers have invested heavily in clean Euro-6 technology, which is already playing a vital role in reducing all emissions and making significant improvements to air quality. These vehicles feature the latest emission-reducing technologies, which in tests on London’s 159 bus route, demonstrated an 85-fold reduction in NOx emissions over the previous Euro-5 standard. Unfortunately, the legacy of diesel vehicles on the UK’s environment looks set to remain for a number of years. 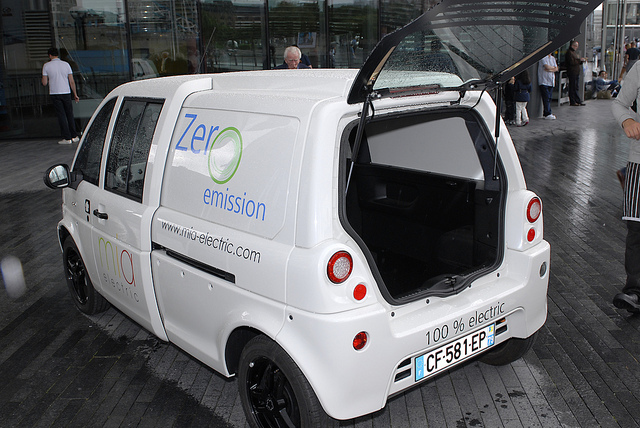 Furthermore, until it becomes cheaper to invest, insure and run ultra-low emission commercial vehicles it is unlikely that individuals or businesses will start investing in them anytime soon.